Dr. Thomas J. Morrow is the Chief Medical Officer at Next IT, maker of the virtual health assistant platform Alme for Healthcare. At Apple’s annual WWDC conference last week, one of the most buzzed about products announced on stage was the new Health app that will be released as a part of iOS 8 this fall. After months of swirling rumors, fans finally got a peek at Apple’s first serious dip into mobile health. Although what was revealed is likely only a preview – there was no mention of Apple’s long-anticipated iWatch, after all – the list of features is already impressive. Health will have the ability to aggregate data from your health and fitness apps into a single, easy-to-access dashboard. Partnerships with major healthcare groups like the Mayo Clinic will even make it possible to share your vitals with your physician in real-time. Even without the iWatch (or whatever Apple’s wearable device ends up being called), Apple has built one hell of a tracker. But tracking is not enough to make us healthier. Although no formal studies have yet been published, researchers aren’t hesitant to share their suspicions that health benefits of trackers are short-lived. Users may experience a quick boost from their Fuelband, FitBit, or Jawbone UP, but results soon plateau and they’re left feeling frustrated. If Health is to avoid the same embarrassing fate as Maps, Game Center and other notable iOS flops, Apple needs to build more than a just a tracker. To make it a true success, Health needs to help users live healthier lives, not just display beautiful data. The problem with the explosion of trackers in recent years is that the user experience is designed entirely around the past. You can download an app to tell you how many steps you’ve taken, or how much you’ve slept, but they don’t tell you what goals to set and how to get there. Trackers tell you where you’ve been, but they can’t tell you where to go. A true digital health tool should be able to proactively provide recommendations based on your individual health goals. MY ASICS is an early example of this in the fitness space. Designed by the shoe company’s top scientists in Japan, MY ASICS gives you a personalized plan that takes into consideration your goals and fitness level. As you log daily runs, the app knows to adjust the next day’s workout based on the results (or lack thereof) that it detects. Health needs to follow the lead of MY ASICS and other intelligent training apps and point the way to a healthier future, not just track the past. How do I lower my blood pressure? How do I improve my nightly rest? This recommendation piece is crucial. Without giving users personalized plans for reaching their goals, Health will quickly be added to the pile of unused tracker apps that sit on everyone’s phones. Since she was debuted in 2011, pretty much all Siri has been asked to do is find the closest takeout restaurant and call your mom. Imagine completing a Rhodes Scholarship and then working for three years as a personal secretary. Siri is capable of so much more! Virtual assistants have already proven themselves as powerful tools for health — they can remind us to take our medication, log daily treatment progress, and provide much needed encouragement for those struggling with chronic disease. Imagine if Siri could remind you to take your blood pressure medication at the most effective times of the day, or give you that extra boost when you start dragging on your afternoon run (without you having to individually add these reminders). A recently uncovered patent shows that Apple may already be working on some of these functions, but Siri needs to be made a central part of the Health experience if it is to help us become healthier. If the personalized health plan and virtual assistant capabilities are made to work together in sync, that’s when we will start to see the truly revolutionary products we’re used to from Apple. It’s one thing if Health is programmed to recommend taking a certain medication in the morning, but what if that medication makes you drowsy? The last thing you want to be doing afterwards is hopping in a car on the way to work. You should be able to notify Siri, and she will update Health to recommend a better time for you — perhaps in the evenings when you’re ready for bed. Or what if you’re on a diet? Rather than just recommend the nearest Chinese takeout place, Siri should look up menus at nearby restaurants and see what options match your current nutritional plan in Health. Have a gluten allergy? Siri should be able to learn this about you, too, and only look for menu items that match your dietary needs. In an era when so much personal and contextual information can be processed by our smartphones and wearable devices, we should demand more than a “one size fits all” health app. The next iPhone? Or the next Newton? Apple has given us some amazing products in the past — products that have turned the world upside down in ways that no one could have predicted at the time they first debuted. Health has the power to do the same based on what’s been revealed so far — if Apple is daring enough. It’s no stretch of the imagination to think that Apple could have another iPhone on their hands with Health and the iWatch. If they try to play it safe, however, and just some add Apple polish to the same tracking technologies already on the market, Health will flop. It will end up on the shelf with other beautifully designed, but seldom used, Apple products. Remember the Newton? The G4 Cube? 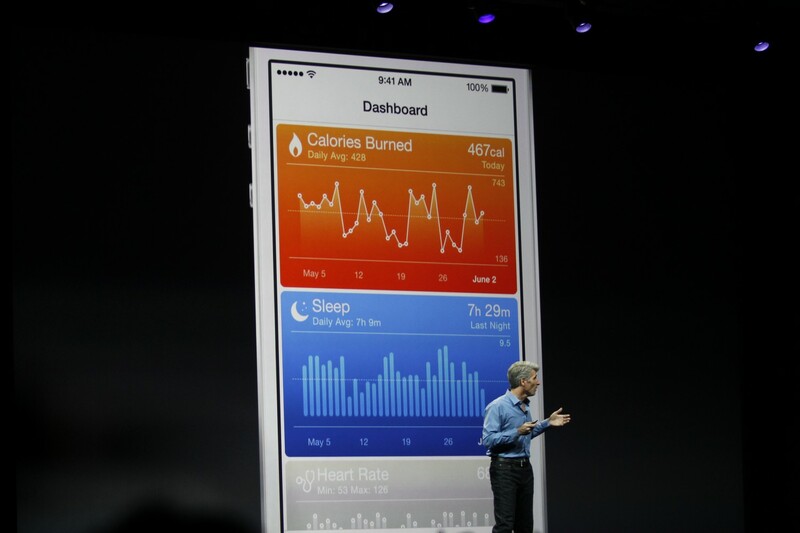 We’ll all find out this fall which fate Apple chooses for Health.